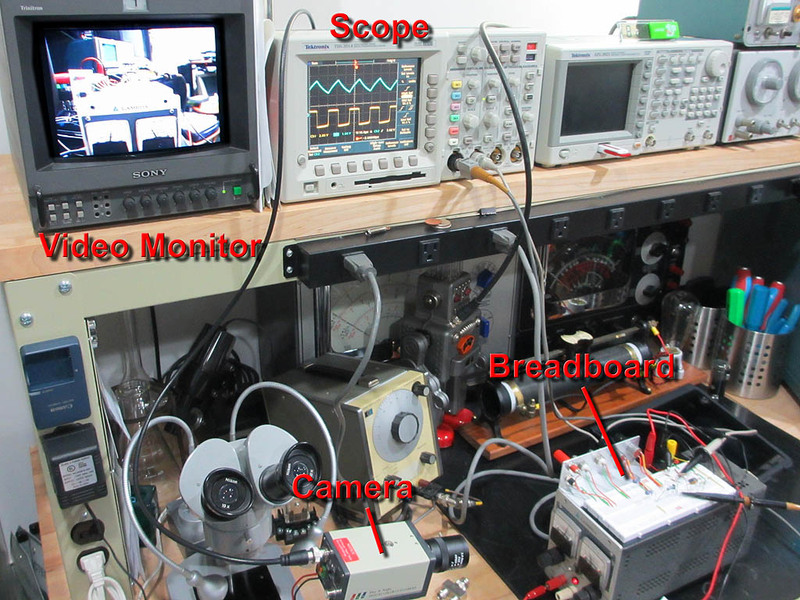 I did breadboard and test the DIY IR jammer last weekend but it’s taken me this long to carve out a minute to post the results. The schematic is correct and only took a few minutes to re-create on the plugboard. For power I used a small bench supply set to 6 volts to duplicate four AA cells. When I powered up the circuit it oscillated just as predicted, but the frequency of oscillation did not agree with LT Spice. 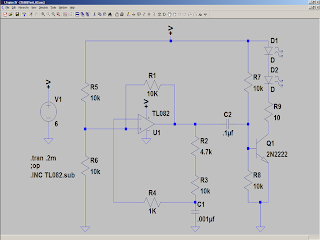 The first time I entered in the schematic I just picked an arbitrary Op Amp from those provided by Linear Technology. That is what caused the discrepancy. 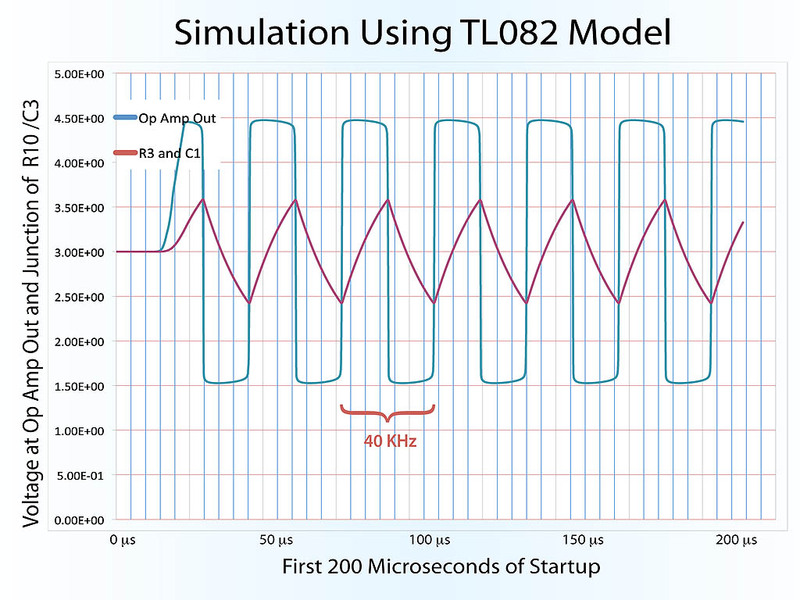 I tracked down a TL082 model and that provided results that are nearly identical to the actual circuit. 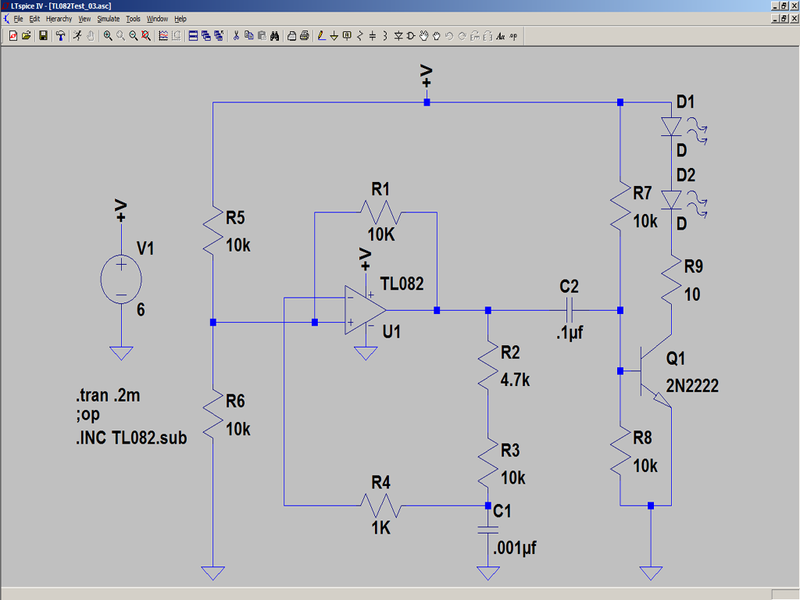 Here is a screen shot of the LT Spice schematic including the spice directives used to add the external model. So the lesson here is use the correct model for accurate results. I’m including the TL082 model I used in the body of the post. Just copy and paste it into a text file adding a .sub extension if you want to do your own simulation. 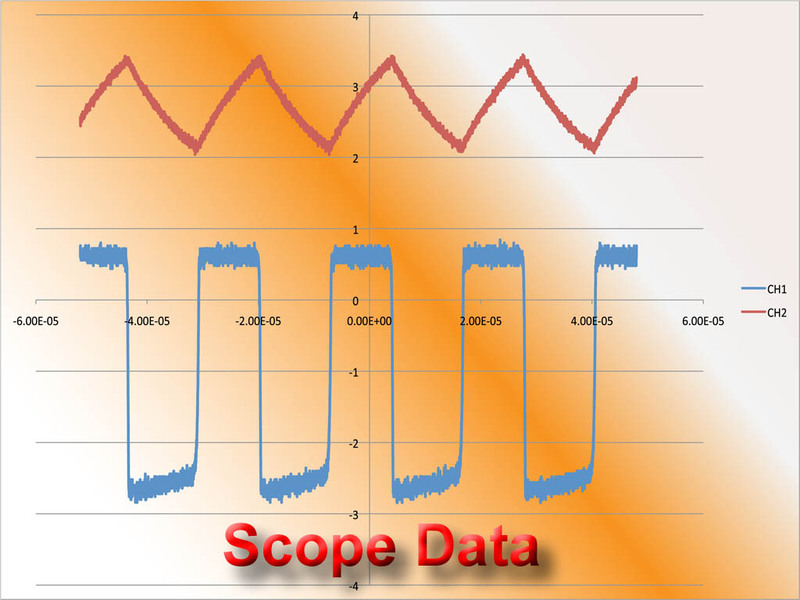 Here is the revised spice plot followed by the actual waveforms that I recorded with my oscilloscope. 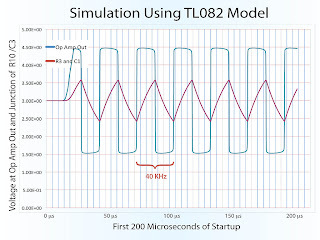 It’s easy to see how well the simulation agrees with the hardware. 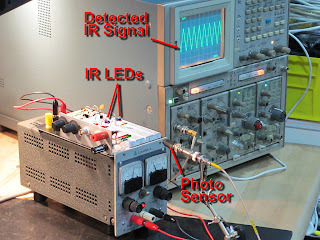 I came up with two simple tests to confirm that the circuit was actually emitting infrared pulses. The first test was to simply point a video camera at the LEDs while the circuit was on. This picture shows this basic setup. 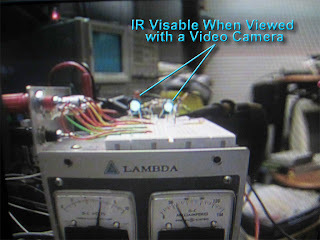 Even the cheapest of video cameras will show infrared light. The infrared light shows as a pale blue in this picture I took of the video monitor. The next test was equally as easy and simply involved attaching a photodiode to an oscilloscope, and then pointing that photodiode at the IR LEDs. 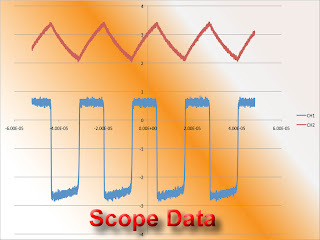 The resultant pulses can be easily seen here. I took the lab supply with the plugboard on top into the living room and set it on the coffee table and flipped the power supply switch on. Admittedly my setup is not very covert, but it did successfully disable the remote's ability to change channels.